The Beach Heather - Relax, Renew, Enjoy! One mile to Nantucket Sound Beaches, Adjacent to Cape Cod Bike Path. Comfortable, beautifully decorated three bedroom home is perfect for a friendly gathering, romantic get-a-way, or family vacation. Quiet and friendly neighborhood near shopping, restaurants, golf, seal cruises, fishing, playgrounds, historic lighthouses and wildlife sanctuaries. Cape Cod Bike Path is five doors away, easily accessible through the neighborhood. Nantucket Sound Beaches with ample parking are one mile away. Harwich is near the 'elbow' of the Cape - halfway between the Canal and Provincetown. Concierge Services: Complete local concierge material available - let us know your special interests! outdoor shower, A True Cape Cod Tradition! If you are flying in, or traveling from overseas, please let me know and I will be happy to arrange for beach towels for you, for no additional charge. this is our third visit in a year! It now feels like home! Perfect place to stay! thanks! The Bike Path is easily accessed right from the neighborhood, only 5 houses away. 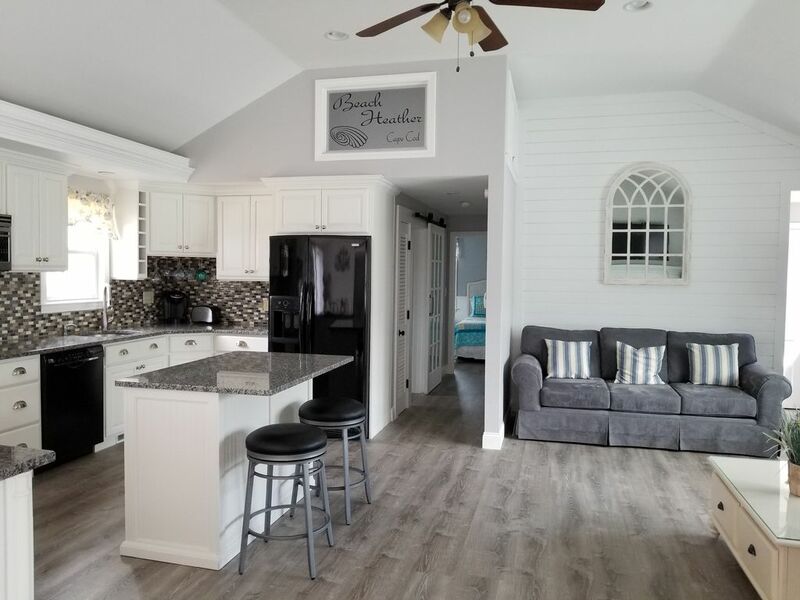 You can ride to the village of Chatham, or to Harwich Center with tennis courts, playground, Cape Cod Baseball League games, to Dennis and Brewster and beyond!